Son of Catherine and John Macaulay. Served with Seaforths for 11 years. 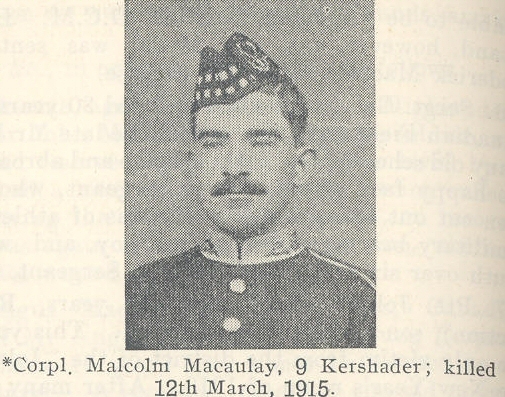 Enlisted in 1905, served in India from 1906 to 1914, when he proceeded to France.